Are you looking for a Mac data recovery software that's extremely versatile? Look no further! 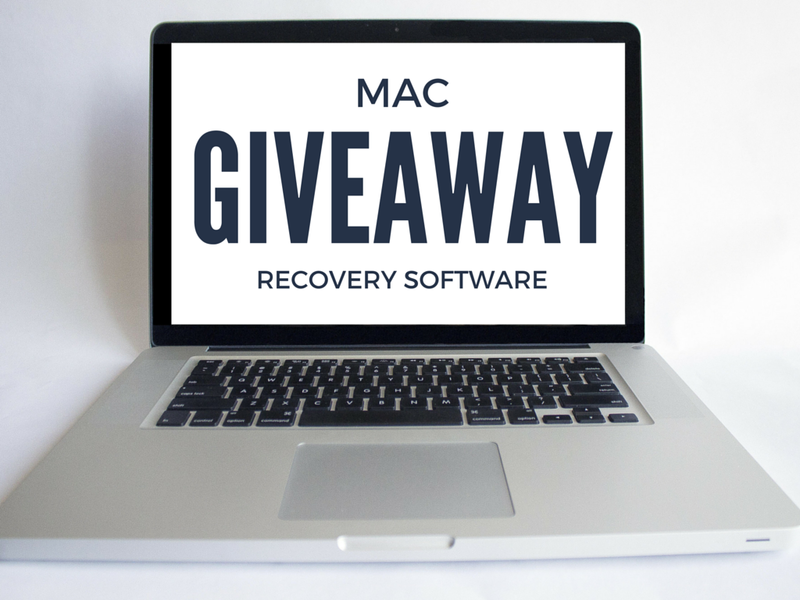 This giveaway includes Disk Drill Pro for Mac software that have so many great features. Disk Drill recovers damaged and deleted data from external or internal hard drives, memory cards, iPod etc and allows protecting data by using Recover Vault technology. There are many other Data Recovery softwares available on web. However, Disk Drill Pro for Mac software is a premium software that is being offered for free for limited time. This offer is exclusively brought for fromdev readers. This offer is valid for (20 lucky winners) only up to end of November 2015. This offer is for lifetime license for one Mac (no upgrades to software). Disk Drill software is a feature packed professional software that can extremely useful for individuals and enterprises. This software can recover lost data from any type of storage device. This software is available absolutely free on Windows for unlimited use. The mac version has basic features available for free use. The advanced features are available in Disk Drill Pro. Follow the steps below to participate. Do you need to recover deleted files on Mac OS X, such as important photos, documents, music or videos? Have data or whole partitions gone missing from your Mac? Are you having trouble accessing an external USB drive or memory card? No problem - Disk Drill tool recovers files from your Mac computer. Disk Drill Mac data recovery software designed natively for Mac OS: easily protect your files from accidental deletion with Recovery Vault and recover lost data from Mac disks. Disk Drill can recover photos, music, documents, videos or any other file type you’ve lost. And it can recover from almost any media you have: memory cards, external hard drives, USB flash drives, iPods and more! Disk Drill can read your device even if it is failing, unreadable, or has lost a partition. Once you are sure that your files can be recovered, you can quickly upgrade to Disk Drill PRO. Disk Drill for Mac provides two mac data recovery modes - Quick Scan and Deep Scan to ensure all lost files will be retrieved. Using Quick Scan you can locate deleted items on FAT and NTFS disks, this scanning method is fast and accurate, but is unlikely to find data deleted long ago. With Deep Scan you can try to recover data from any disk or memory card regardless of their file system. This recovery method is long and thorough, it scans your disk in a binary mode and is capable of finding deleted files even after formatting. Disk Drill can help you maximize your existing disk space, for free. In less than a minute, you will get an intuitive disk map with visual colored indicators of what’s eating up your precious disk space. Recover lost data due to Mac OS X upgrade, OS crash, software crash, volume loss. Disk Drill is fully compatible with Mac OS X 10.11 (El Capitan), 10.10 (Yosemite), 10.9(Mavericks), 10.8 (Mountain Lion), 10.7 (Lion), 10.6 (Snow Leopard). This is giveaway is brought to you by Clever Files who are the data recovery experts and makers of Disk Drill Pro software.